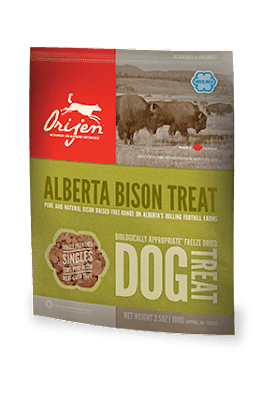 Orijen BisonTreats Hit Home Run! 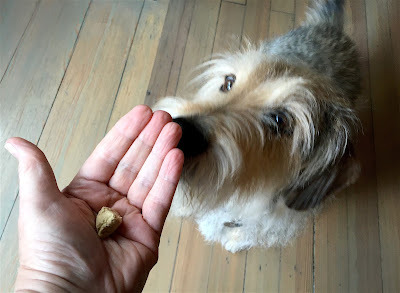 We received these Orijen freeze-dried Bison treats courtesy of Chewy.com to taste test. We have received no compensation for this review and our opinions are, of course, our own. Parental Unit and I are long-time fans of Champion Pet Foods from Alberta, Canada. 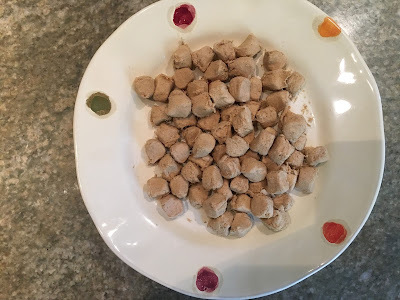 In fact, Bella and I have been eating primarily Orijen and/or Acana kibble for over five years now (Acana is also made by Champion Pet Foods and has a bit less protein and a lower price point). Parental Unit is a Yuuuuge fan of the company and their commitment to quality. And, they've recently opened a facility in Kentucky that now makes all of its food sold in the United States. Now on to our taste test of these treats! 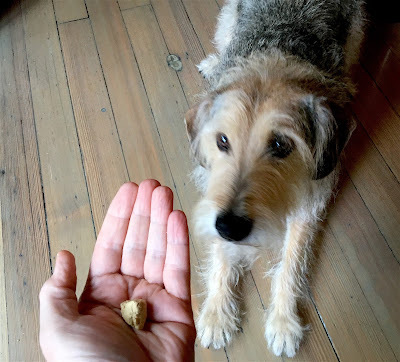 These "perfect for training" sized treats include only the following ingredients: Bison, Bison Liver, Bison Tripe. O.K. Enough with photographing your hand, Parental Unit! 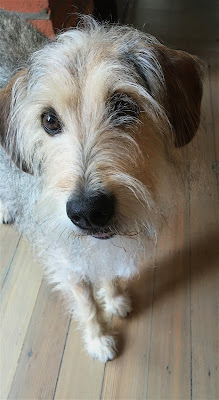 Can I please just get the treat? Although my actually eating of these treats was not adequately captured in a photo, rest assured I scarfed several down. I'm definitely a fan of Bison! And despite the pleading look on my face, I receive several of these treats per day—sometimes I "work" for them, other times...not so much. 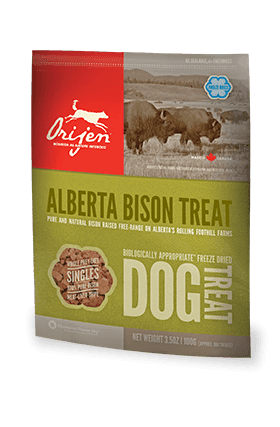 Again, we thank our friends at Chewy.com for providing this delicious, free-range Bison treat from Orijen.Why not visit Chewy where you can select from among all the Orijen treats for your pooch! Those treats look so yummy, Bocci! Great review, buddy! I don't think I have ever tried Bison either! Your review certainly makes me want to give them a try. They do look like the perfect size for training and for compact dogs like me.